Have you been charged with a DUI in College? Home » Have you been charged with a DUI in College? Is a DUI in College going to ruin your life? If you’re a college student who has just been charged with a DUI first offense you’re probably feeling many things: scared, angry at yourself, and maybe even disappointed. Most of all, you don’t know what to do next, or what to expect. First, let’s talk facts. About 10% of all fatalities in drunk driving crashes involve those who are under the age of 21. Since nearly one-third of all traffic related deaths are caused by drunk driving, the penalties are designed to make you think carefully before getting behind the wheel after you’ve had a couple drinks. 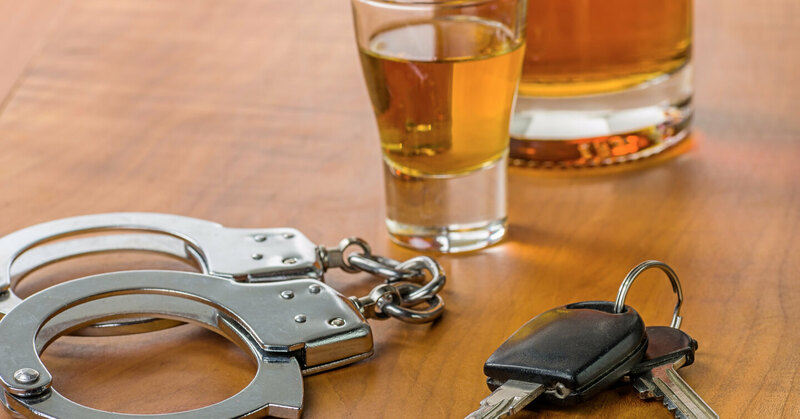 If you’ve been arrested for a DUI in college, chances are you’ll be charged with DUI first offense, and you’ll need an experienced lawyer who can help you. As a college student, you know that drinking is a big part of campus culture. While we can’t expect you not to drink, the law does expect you to avoid driving when you’re under the influence of alcohol. This means that, if your Blood Alcohol Level is at or above a .08%, you shouldn’t be driving. If you’re caught driving with an elevated Blood Alcohol Content, you’re likely to be charged with a DUI. What you might not be aware of, is that South Carolina has a zero tolerance law for people under 21. That means that if you’re under the age of 21, as most college students are, your BAC only has to be at a .02% for you to be charged with a DUI. Even if you “seem fine,” if your BAC is elevated, you’ll still be arrested. On the flip side, if your BAC is under a .08% (or a .02% if you’re under 21), but you’re clearly intoxicated, you can still be charged with a DUI in South Carolina. What Are the Penalties for a DUI First Offense? Unfortunately, there are multiple penalties associated with getting a DUI charge in South Carolina, even for a first time offender. Depending on the level of your BAC, you may even face jail time. However, you should know that you may be able to replace that jail time with community service if you are a first time offender. Some other factors to consider. If you refuse the breathalyzer, or blow over a certain level, you can be required to install an ignition interlock in your car. If an accident is involved with personal injury or death, you could face significant prison time. On top of all of that, it’s going to cost you – a lot. Your insurance rates are already high because of your age and inexperience driving, but after a DUI they’ll go up even higher, and those rates will persist for up to 5 years. You’ll also need to provide proof that you have the minimum liability insurance, using a form called an SR-22, for 3 years from the end of your driver’s license suspension, and, as you might have guessed, it’s not cheap. If this is your second DUI you could spend up to a year in prison, not to mention fines of at least $2,100, plus you’ll lose your driving privileges for at least a year, have to get an SR-22 and possibly an ignition interlock device.. Contacting the Law Office of David B. Tarr as soon as possible after you’ve been charged with a DUI if you’re a college student will give yourself the best chance of being completely exonerated from your charges or at least securing a significant reduction in both charge and punishment. Mr. Tarr is available 24/7 to answer your call if you find yourself charged with DUI, or any other crime. David is an awesome defense attorney! He's also a genuinely nice guy. He made the process quick and easy. Super professional, gets things done timely. The results were nothing less than superb. I have and will continue to recommend him as the man to go to for legal counsel. During the entire process, David was considerate, accessible, knowledgeable, and on top of the situation. Mr. Tarr was very knowledgeable of the legal system and that allowed us to navigate through hearings, sentencing and programs for a favorable outcome. He was knowledgeable of the law and was very prepared for court. He met me at a location near me because i did not have a ride available. He has exceptional communication a clear understanding of the laws, and knows how to get things done in Columbia. He is professional but genuinely cared about the outcome. He is diligent in putting in whatever work is necessary to obtain the best possible outcome for you.